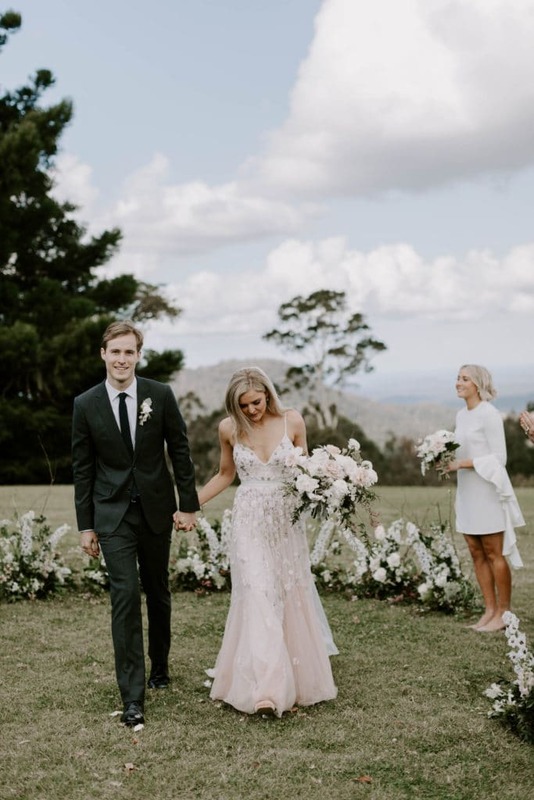 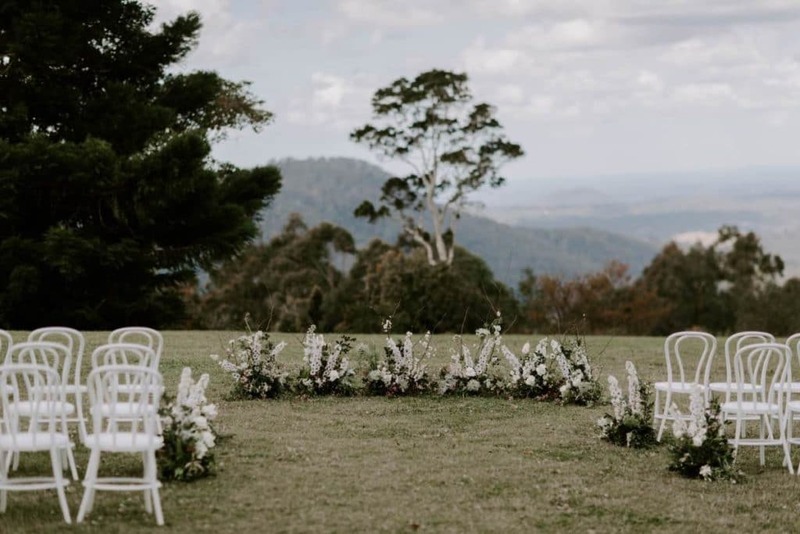 Penny and Tom had an unstructured, romantic botanical garden look for their wedding at Maleny Retreat. 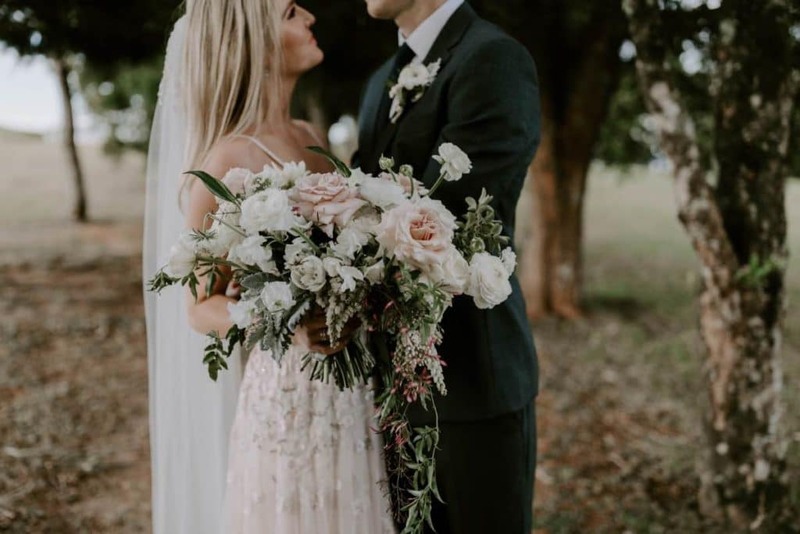 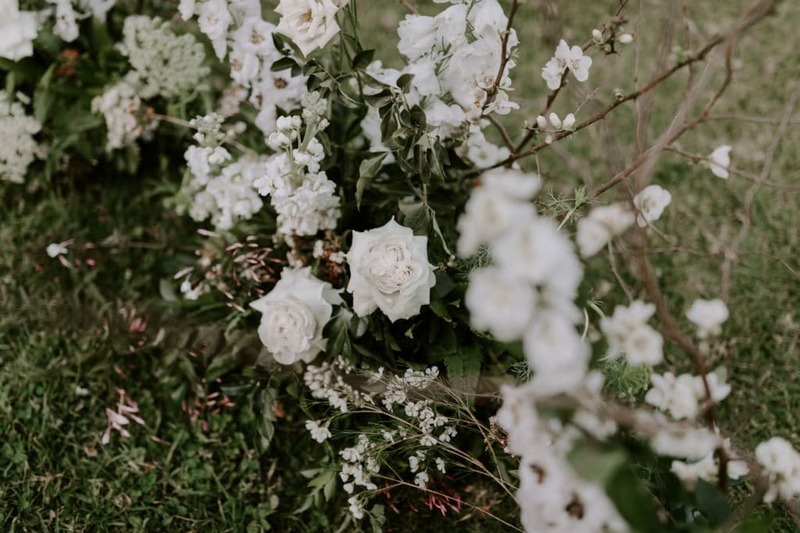 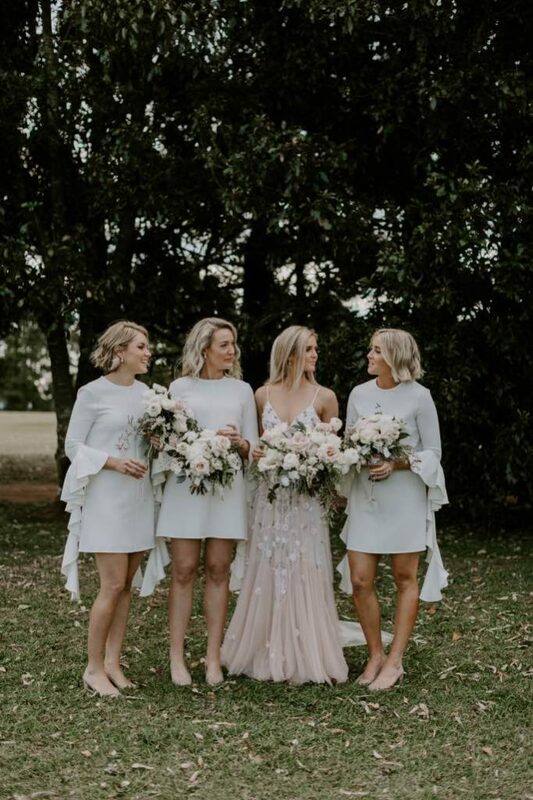 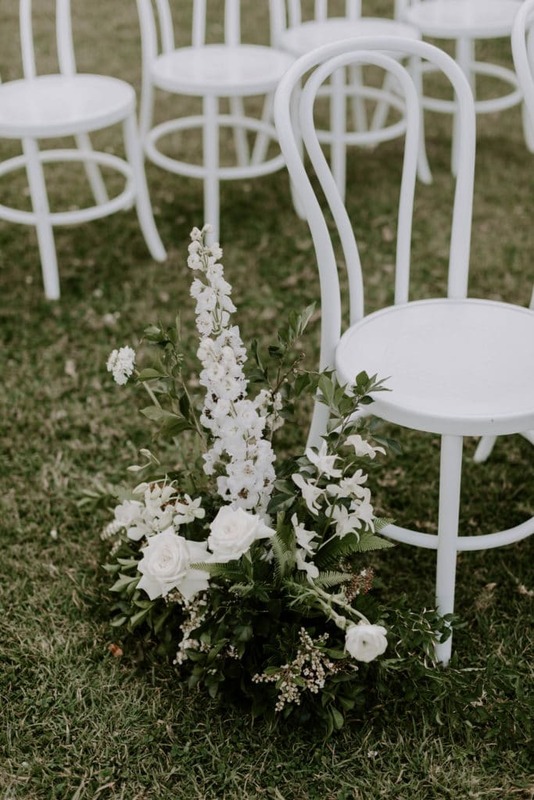 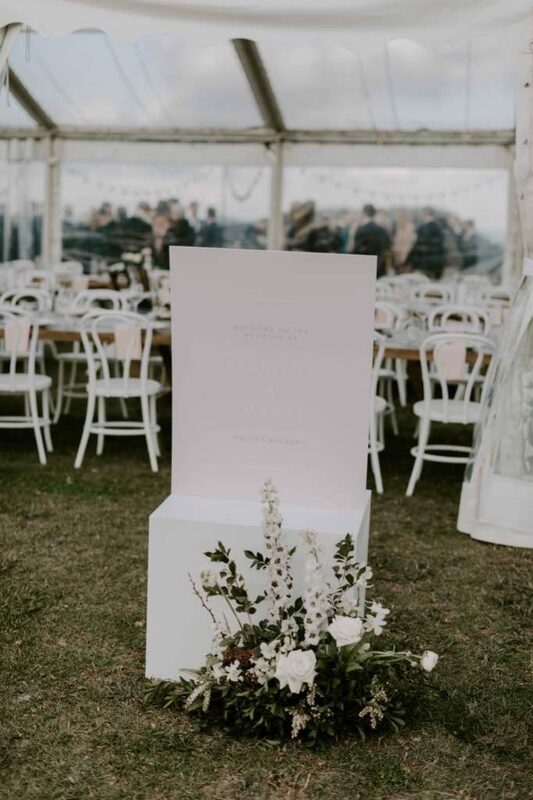 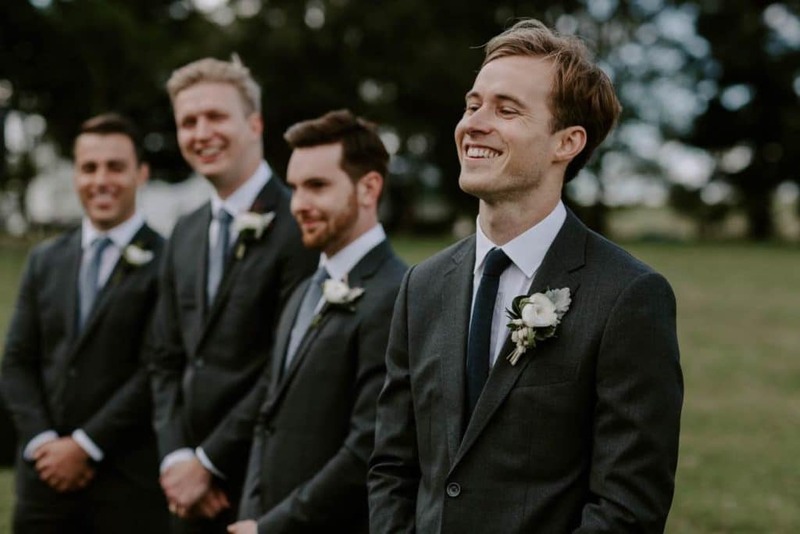 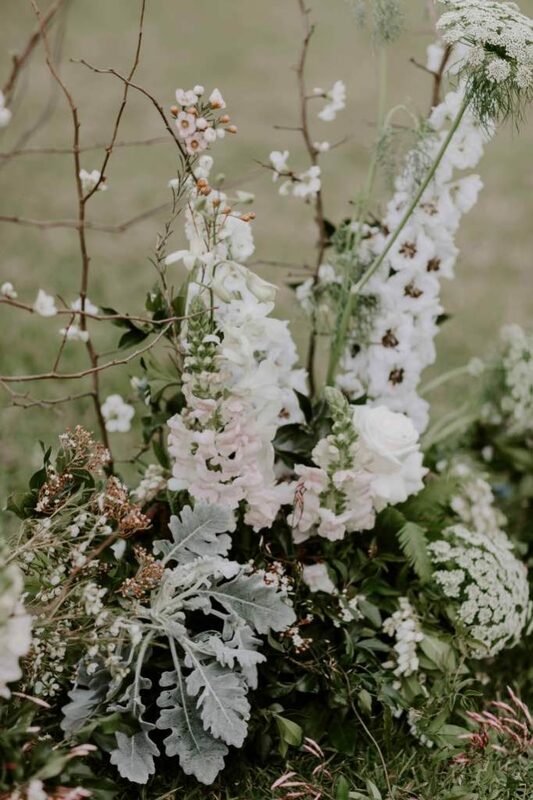 We worked with Carly and the team at CL Wedding and Events, who styled the gorgeous clear marquee and made an amazing ceremony space for the bride and groom amongst the circular floral hedge, with floral gardens down the aisle to link in. 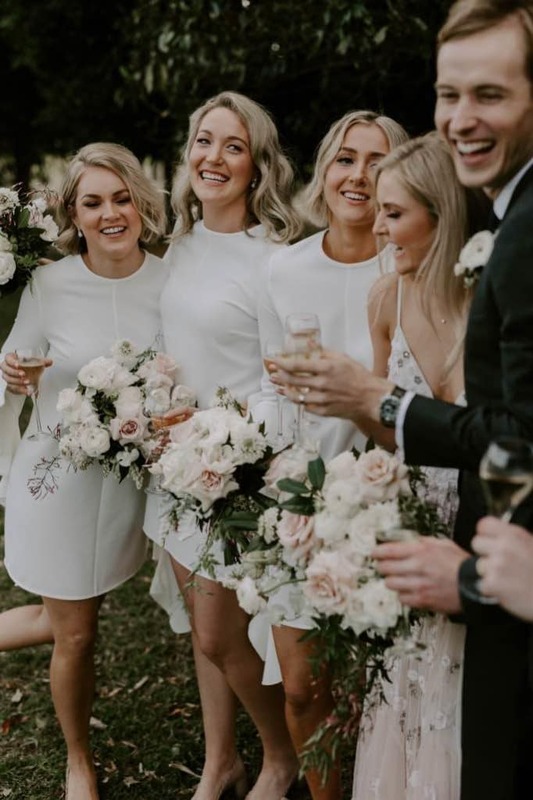 Carly Slade was the celebrant. 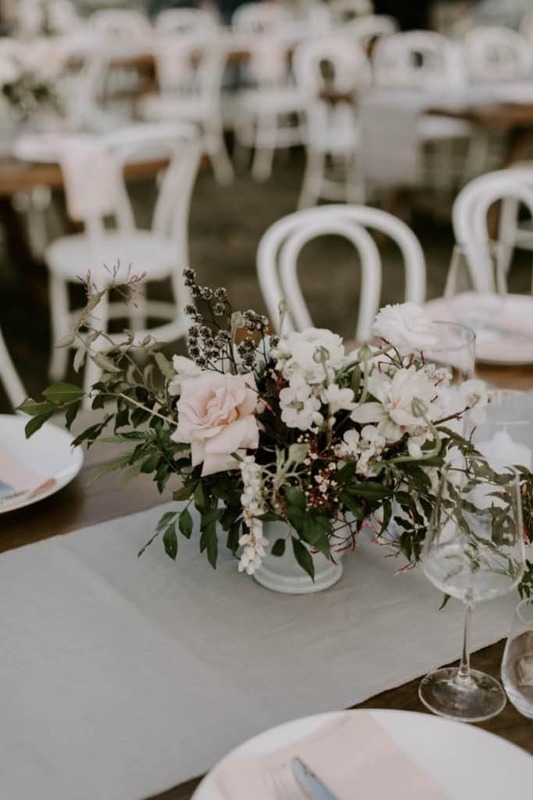 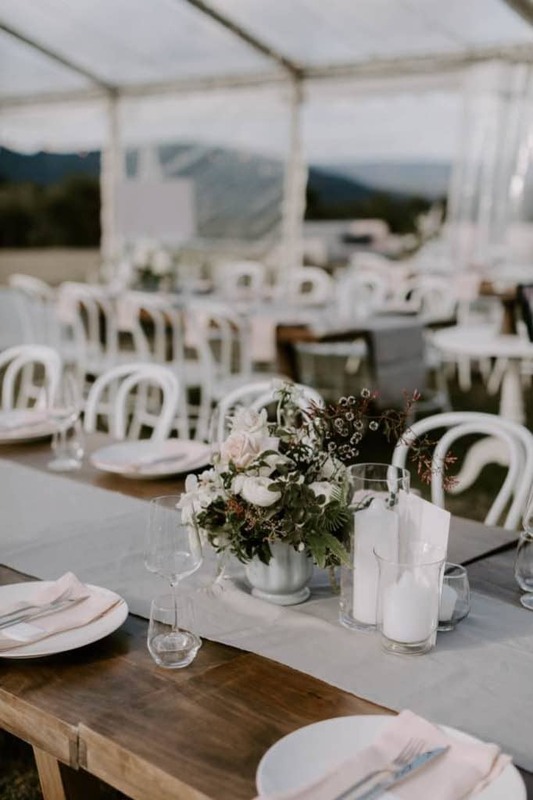 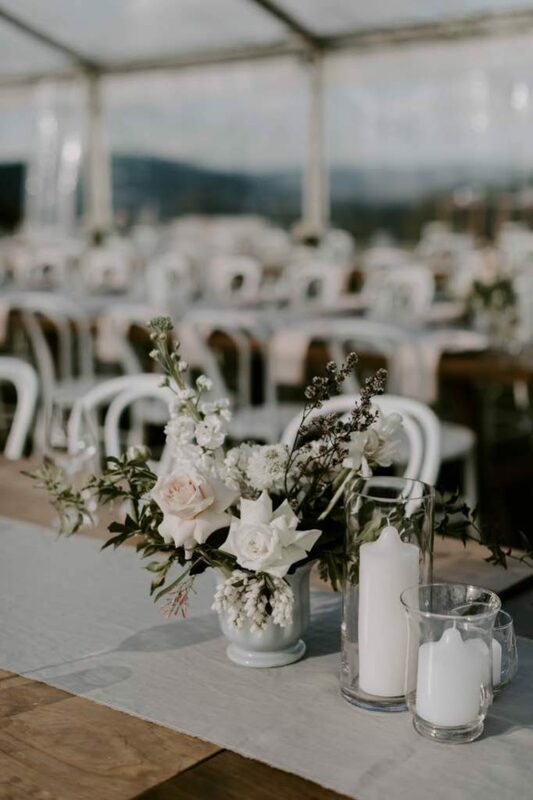 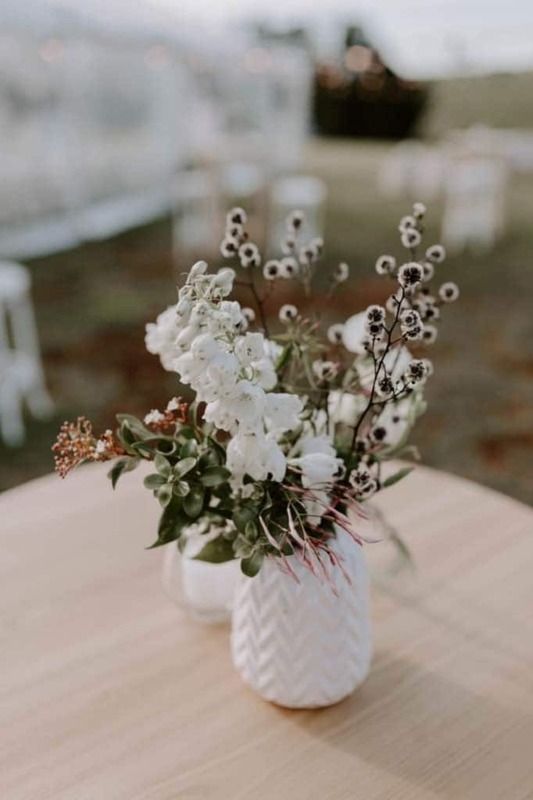 The Hire Department decor and stone coloured linen looked amazing with the soft floral gardens on the tables, allowing plenty of space for the delicious food from The Van- Fine Street Food. 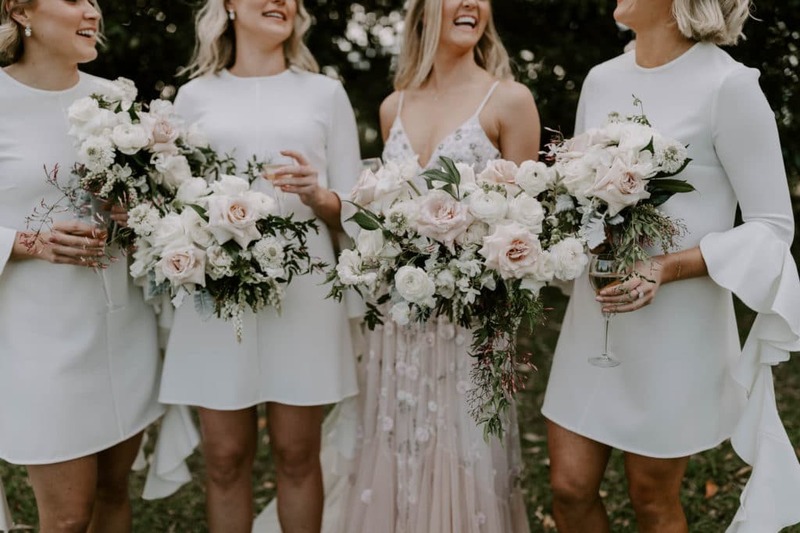 The garden party style was reflected in the florals dotted around the cosy areas to chat and enjoy.